Mixed martial arts in 2018 has had many twists and turns. 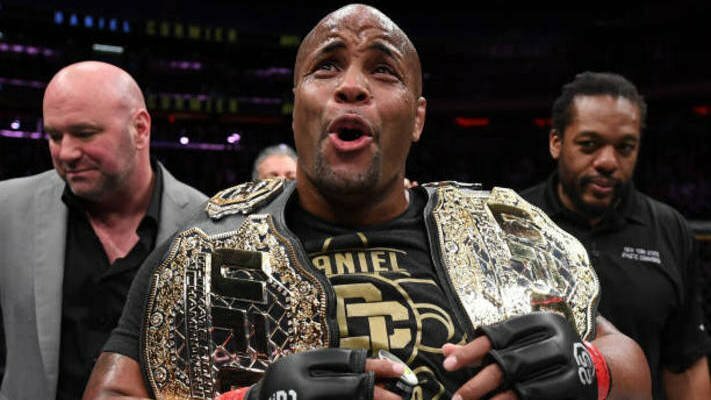 From dollies, to crowd brawls, and “champ champs,” 2018 was indeed quite the year in MMA. We’ve seen key moments occur this year such as Jon Jones’ return, a trade that sent Demetrious Johnson to ONE Championship and Ben Askren to the UFC, and of course the heated rivalry between Khabib Nurmagomedov and Conor McGregor. 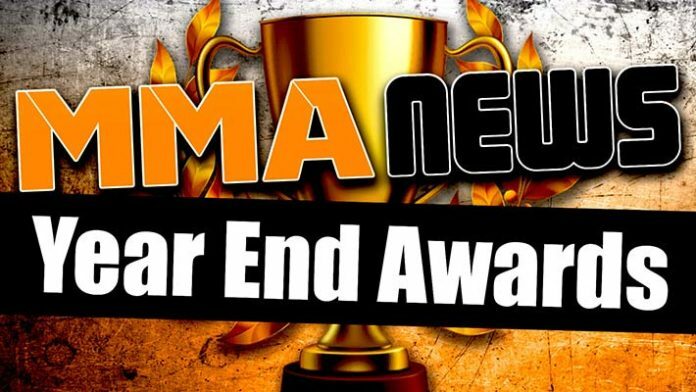 The MMA News staffers have provided picks for the year-end awards. We’ve got winners for Fighter of the Year, Fight of the Year, Event of the Year, Breakthrough Fighter of the Year, Upset of the Year, Controversy of the Year, Knockout of the Year, and Submission of the Year. 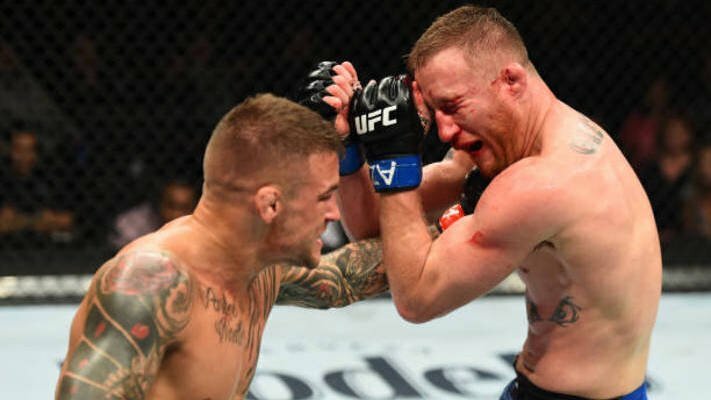 Back in April 2018, Dustin Poirier and Justin Gaethje did battle in the main event of UFC Glendale. Both men delivered the violence that was advertised. Early in the fourth round, “The Diamond” was able to finish Gaethje via TKO in a bout that won’t soon be forgotten. This bout was voted for by myself, Damon Martin, and Andrew Ravens. Clyde Aidoo picked Robert Whittaker vs. Yoel Romero from UFC 225, while James Lynch voted for Yair Rodriguez vs. Chan Sung Jung from UFC Denver. The buzz surrounding UFC 229 was undeniable. MMA superstar Conor McGregor made his return to the Octagon after being away since Nov. 2016. He challenged Khabib Nurmagomedov for the UFC lightweight championship. There was a ton of bad blood going into the event and in the end it was Nurmagomedov who earned the fourth-round submission win. Fight fans were also treated to a war between Tony Ferguson and Anthony Pettis as well as an insane comeback knockout win for Derrick Lewis over Alexander Volkov. Myself and Damon Martin were the ultimate factors in deciding this pick. 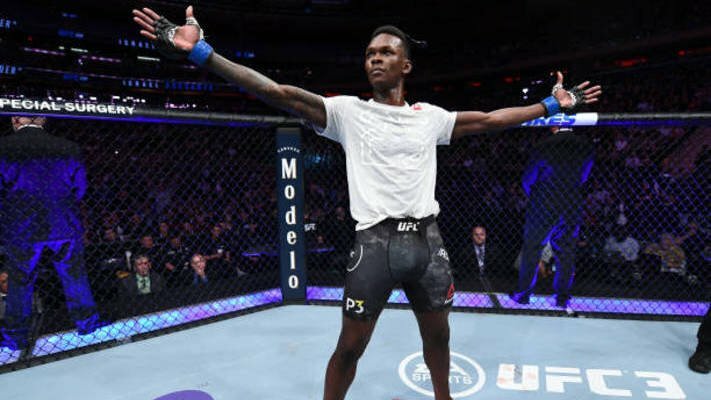 Clyde Aidoo voted for UFC 232, Andrew Ravens had UFC 220 as his pick, and James Lynch was most impressed by UFC 228. Henry Cejudo pulled off one of the biggest upsets in the history of MMA. 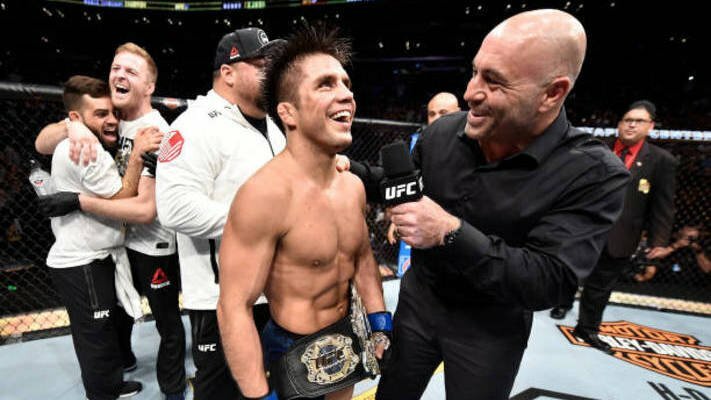 Cejudo was a +375 underdog going into his UFC flyweight title bout with Demetrious Johnson. The two had met before with “Mighty Mouse” scoring a first-round TKO win. Things were far different this go-around as the rematch was competitive throughout. In the end, Cejudo was awarded with the split decision victory to capture the 125-pound gold. Myself, Damon Martin, and Clyde Aidoo chose Cejudo’s upset. Andrew Ravens picked Sergio Pettis’ UFC 225 win over Joseph Benavidez, while James Lynch voted for Ray Cooper III’s thrashing of Jake Shields at PFL 3. It’s safe to say that no one in the heavyweight division can rest on their laurels fighting Derrick Lewis. Alexander Volkov was on his way to a unanimous decision win over Lewis on the UFC 229 card. Volkov was picking Lewis apart on the feet with his kicks, but “The Black Beast” is always dangerous. With just seconds left to go in the fight, Lewis threw a hook from Hades that dropped Volkov. 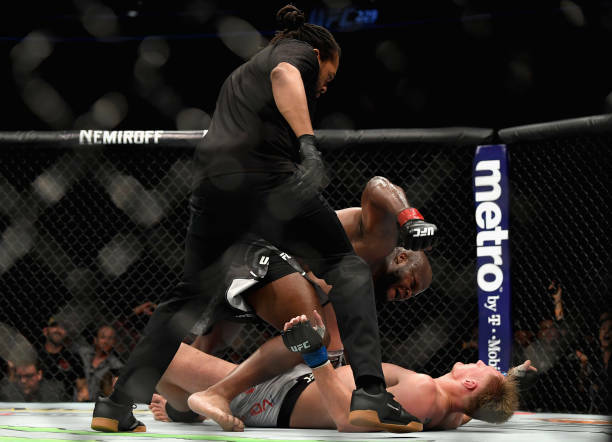 “The Black Beast” finished it off with ground-and-pound. All of us except Clyde Aidoo made this pick. Aidoo voted for Paul Craig’s comeback submission win over Magomed Ankalaev with just one second left in the fight. 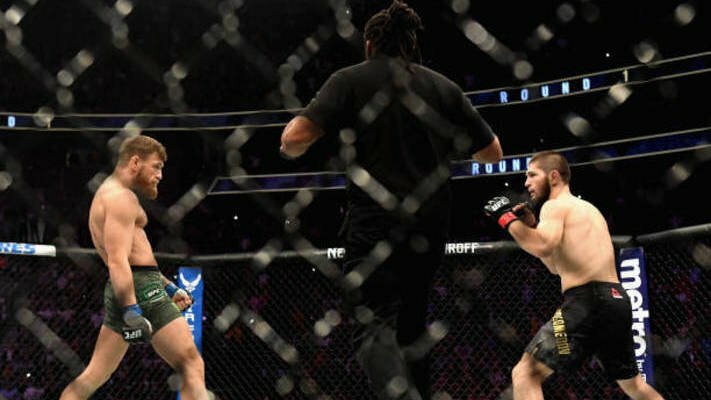 The feud between Khabib Nurmagomedov and Conor McGregor was so personal that two incidents have walked off with MMA News’ “Controversy of the Year” award. At the conclusion of UFC 223’s media day session, McGregor and his entourage stormed a bus holding red corner fighters. McGregor hurled a dolly, smashing one of the bus’ windows. Two fighters were injured and pulled from their bouts as a result. 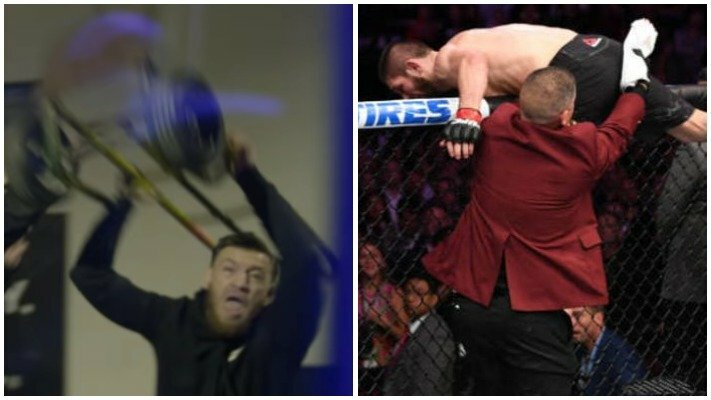 After Nurmagomedov defeated McGregor at UFC 229, he hopped over the fence and went after Dillon Danis in the crowd. This caused a brawl in the crowd and inside the Octagon. Clyde Aidoo voted for the UFC 223 bus incident, while James Lynch chose the UFC 229 fracas. With myself as the tiebreaker, I decided to combine the two incidents for this award. Damon Martin chose Darren Till’s unanimous decision over Stephen Thompson, while Andrew Ravens’ pick was Bobby Moffett’s technical submission over Chas Skelly. Yair Rodriguez vs. Chan Sung Jung was certainly in the running to win our “Fight of the Year” award. 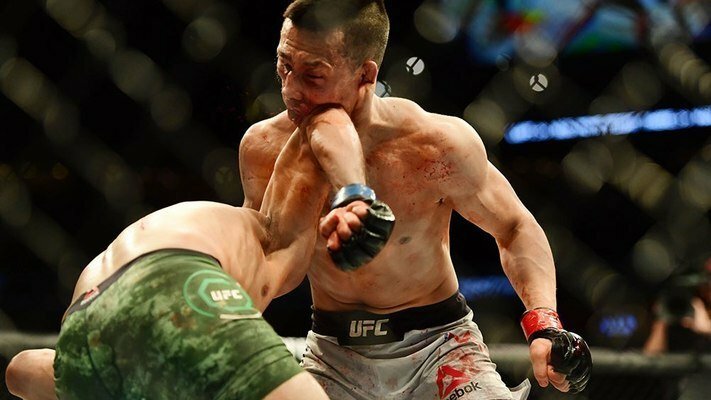 Rodriguez and “The Korean Zombie” went to war in the main event of UFC’s 25th Anniversary show. Jung was up on the scorecards when “El Pantera” landed a ridiculous upward elbow to knock his opponent out cold. There was just one second left in the fight. Andrew Ravens was the only MMA News staffer who didn’t vote for this knockout, as his pick was Brian Ortega’s finish over Frankie Edgar. Aleksei Oleinik secured yet another Ezekiel choke in 2018. Junior Albini thought he was safe in top control, but that’s not always the case when fighting Oleinik. “The Boa Constrictor” sunk in an Ezekiel choke to force the tap in the first round. It was Oleinik’s 11th career submission win via Ezekiel choke. Damon Martin, Andrew Ravens, and James Lynch voted for this submission. Myself and Clyde Aidoo picked Adam Wieczorek’s omoplata submission over Arjan Bhullar. That does it for our MMA News year-end awards. Let us know what your picks are in the comments below.